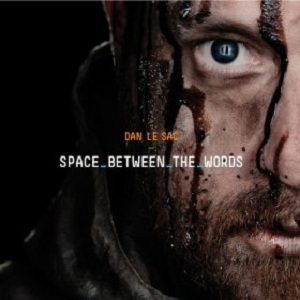 Dan Le Sac, the producer behind UK rap project Dan Le Sac vs. Scroobius Pip, brings a bevy of guest vocalists along for his solo debut, Space Between The Words. Two highlights feature the husky vocals of English folkster Merz: “Long Night of Life” opens the album with a hypnotic stand-up bass groove, and “Zephyr” has layers of melodies that straddle between mellow and intense. “Tuning,” featuring Jashua Idehen, builds a foreboding sense of dread, while “Memorial” lets Emmy The Great’s plaintive voice float and sting over a moody, grimy backdrop. The catchy, poppy “Play Along” has vocals from Sarah Williams White that flip from cheeky to seductive. Fraser Rowan falls in love on the dance floor, laying gazy vocals over melodic synth in “Breathing Underwater.” ”Caretaker” slithers along creepily, showcasing the one-two punch of rapper B Dolan and singer HowAboutBeth. Closing number “Cherubs,” featuring Pete Hefferan, sounds like Depeche Mode bidding adieu to Gorillaz. A decade removed from Moby’s “Play,” “Space” feels like a spiritual follow-up, made by someone who grew up with Banksy’s art on his walls instead of Keith Haring’s. While a few tracks may not engage non-dance fans, it’s altogether a strong and varied electronic album.